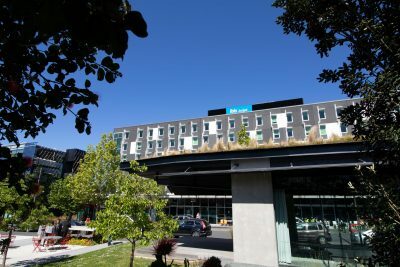 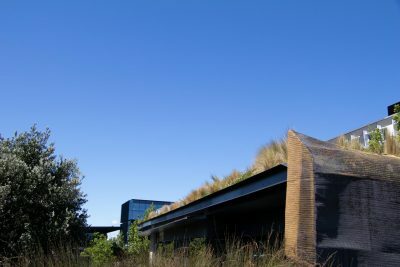 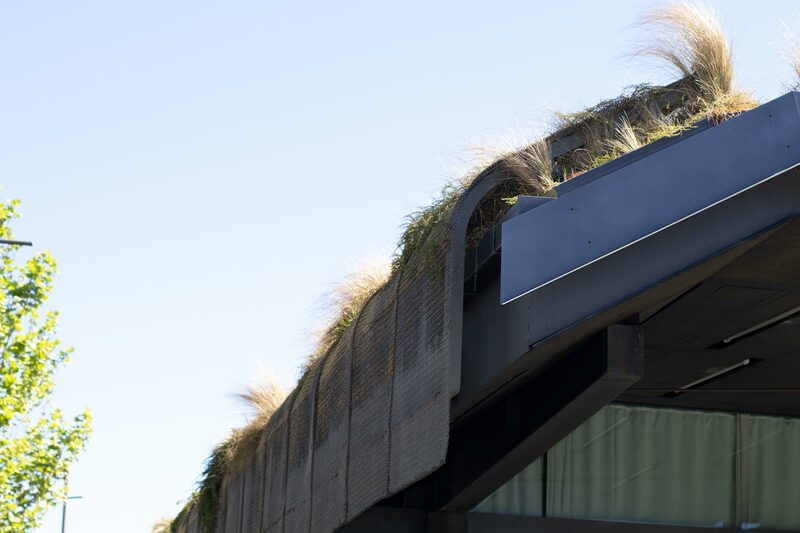 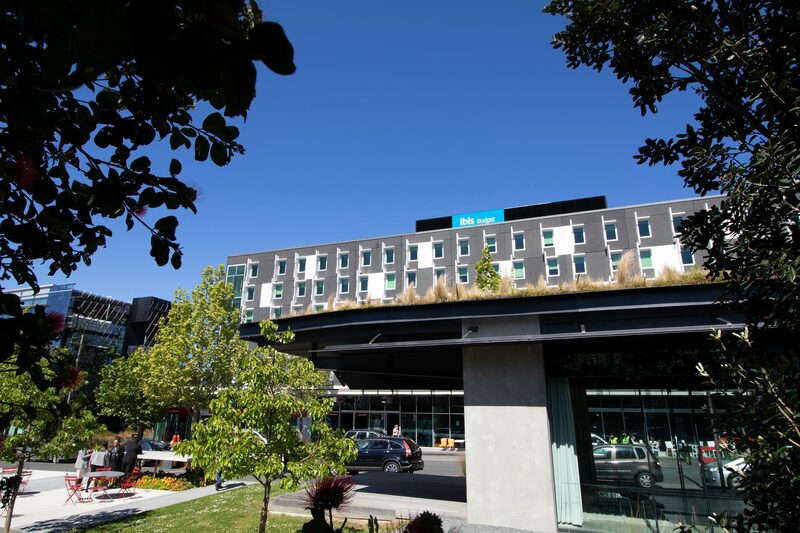 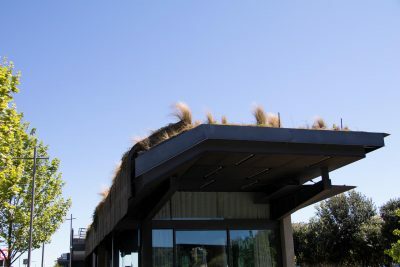 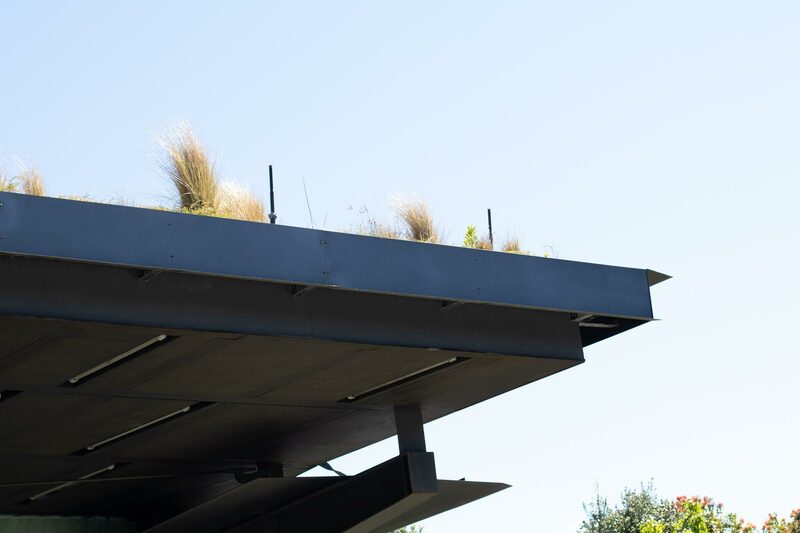 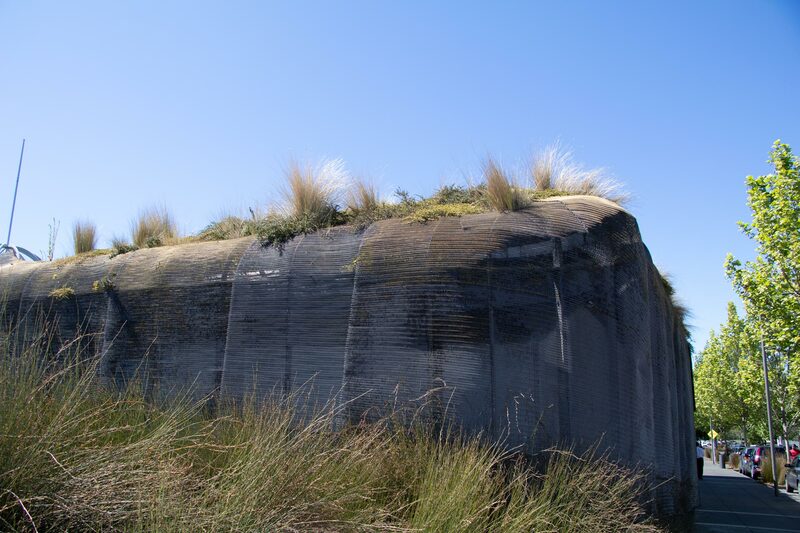 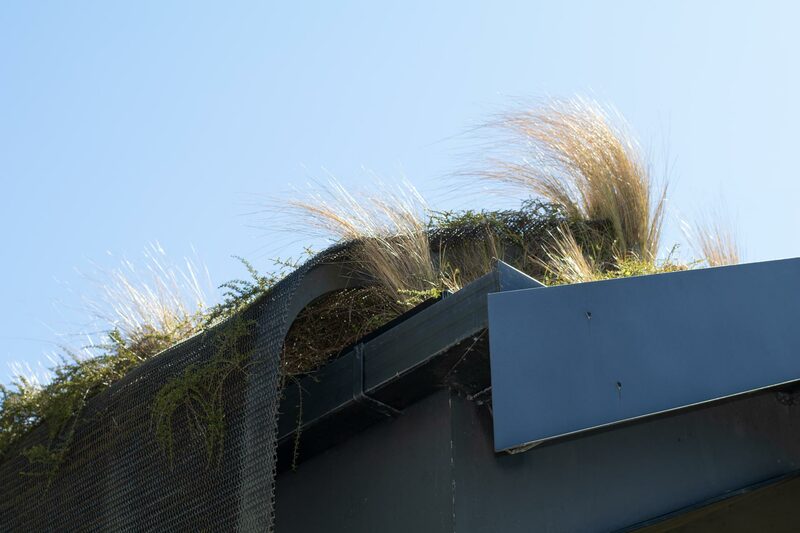 What makes Te Kaitaka unique amongst its Auckland Airport neighbours is its living roof. A canopy of native coprosmas and carex – a type of sedge – crown the angled roofline. 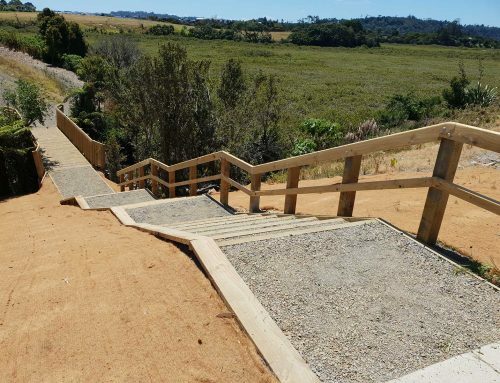 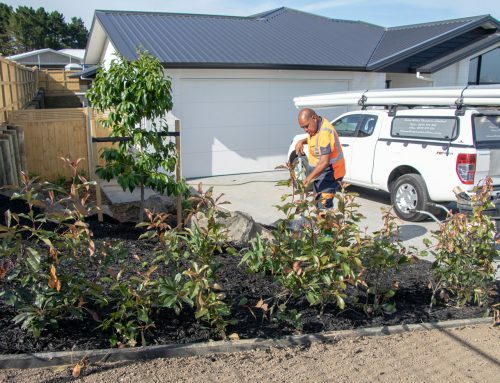 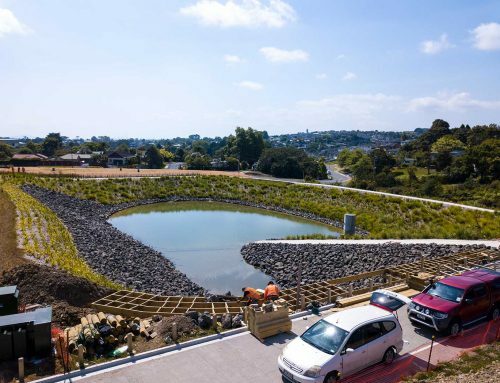 The plantings sprout forth from its brass mesh base, which has been purposefully layered to mirror the way in which a traditional Māori cloak would be worn. 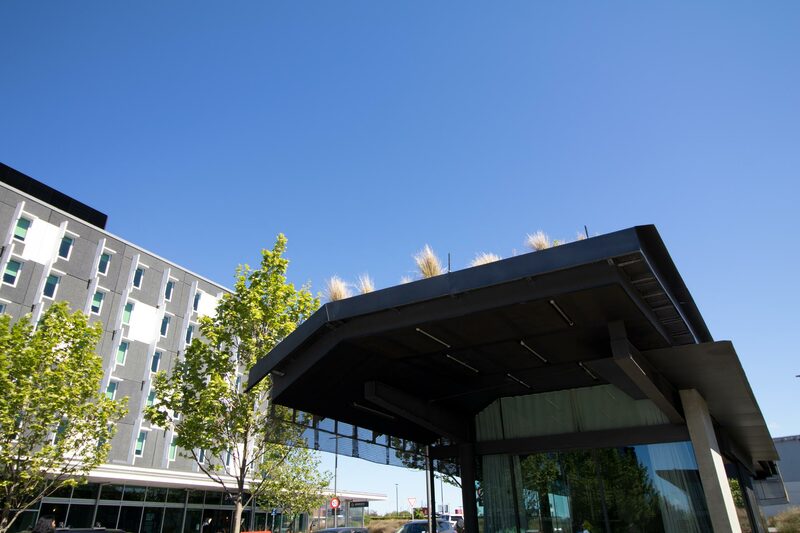 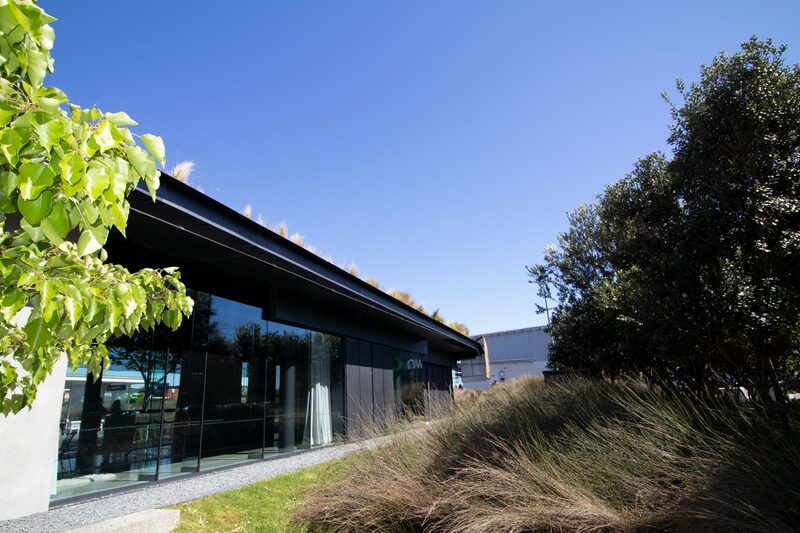 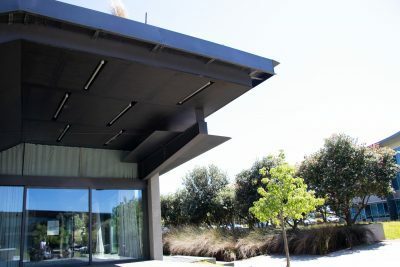 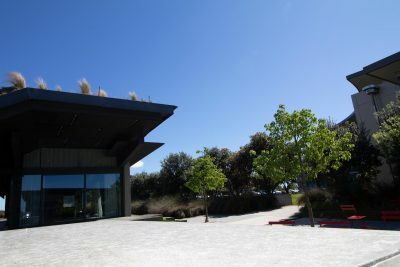 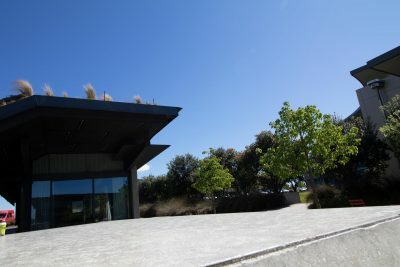 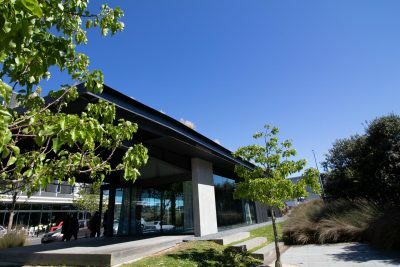 Fearon Hay Architects collaborated with Auckland Airport’s iwi relations manager, Charles Berryman and his daughter Taina to create this uniquely New Zealand building. 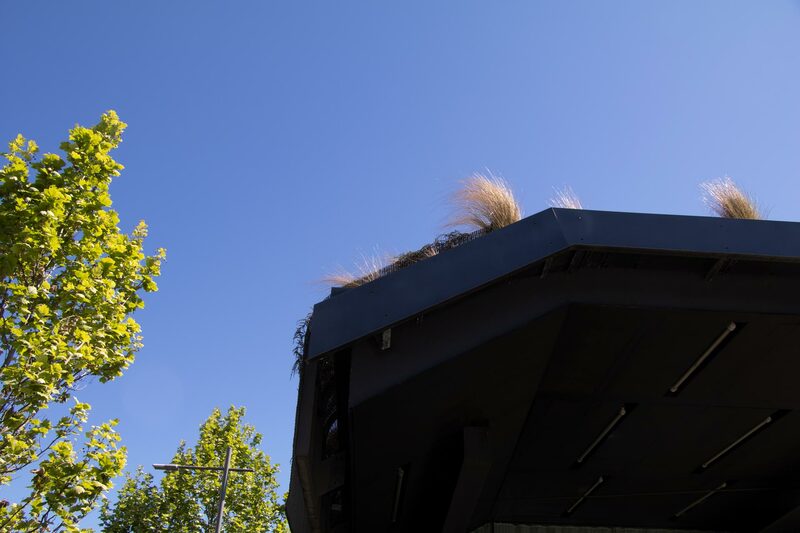 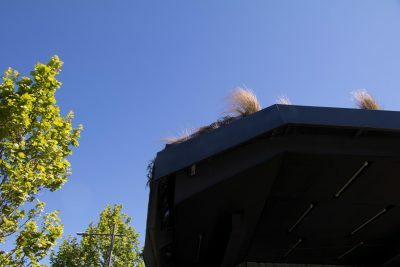 Plus the roof itself will enjoy a longer lifespan due to the reduced impact of UV radiation and general weathering, as the construction materials benefit from more even temperature fluctuations. 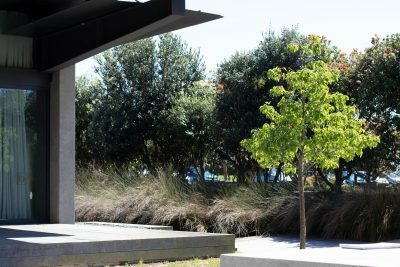 Apart from being native, the species of plants were selected for their visual effect as well as ecological reasons. 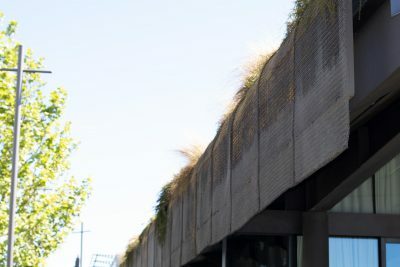 They are hardy plants and are suited to growing in a porous media, which aids the filtration of rainwater as it collects on the roof, and then passes into the stormwater system. 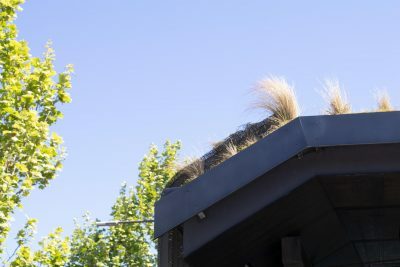 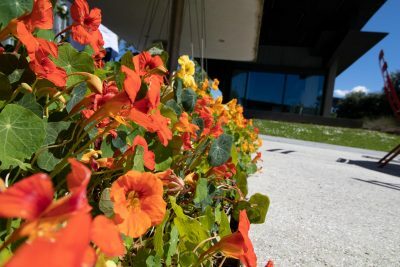 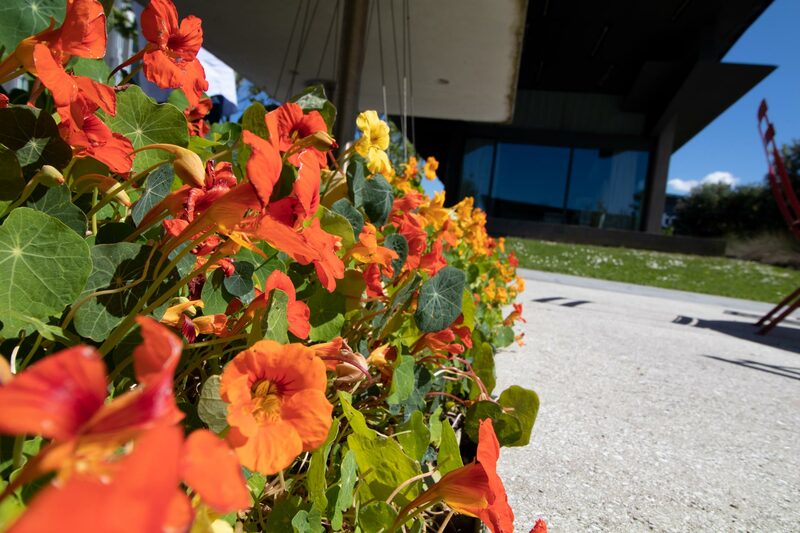 The Plant People are responsible for the maintenance of the roof plantings as well as some of the gardens and lawns surrounding the building. 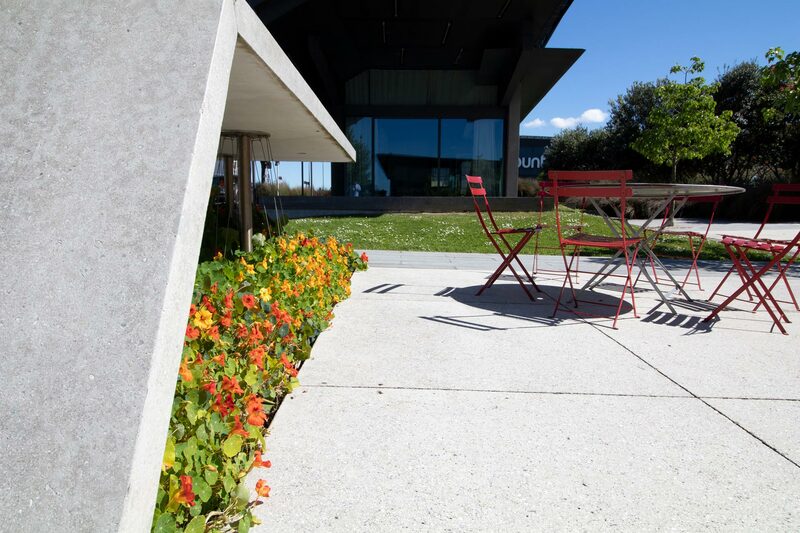 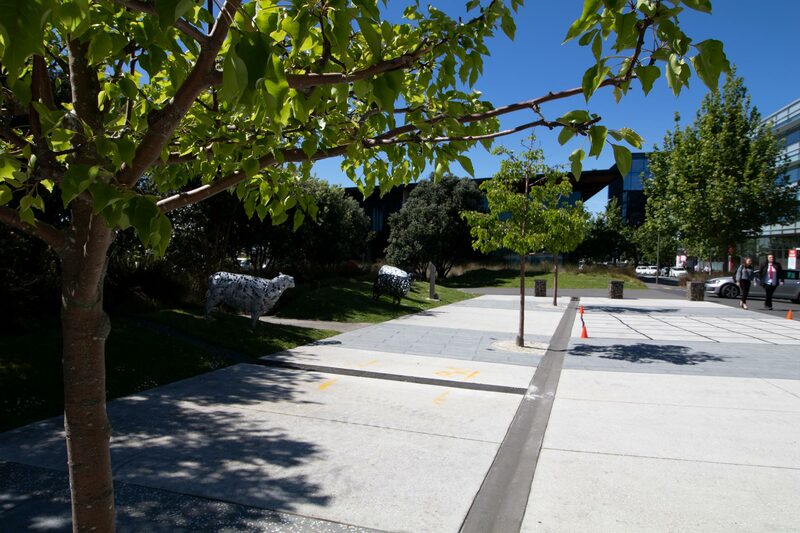 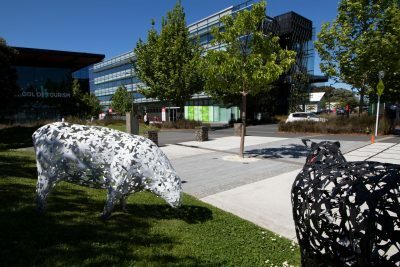 Our landscape construction team contributed to the development of these grounds, including the installation of he sheep sculptures you can see in the gallery below.